What does it mean that young, talented jurists like Goodwin Liu and Miguel Estrada have little shot of Senate confirmation? Miguel Estrada seemed to be a shoo-in for the federal bench. Nominated by George W. Bush to the D.C. Circuit Court of Appeals in 2001 when he was just 39, Estrada was born in Honduras. He arrived in the United States as a teenager speaking little English and went on to graduate from Harvard Law School and clerk for Supreme Court Justice Anthony Kennedy. He then worked at Wachtell, Lipton, Rosen & Katz, arguably the most prestigious law firm in the nation, and, later, as an Assistant U.S. Attorney for the Southern District of New York, itself the most prestigious such office in the country. He later became assistant to the U.S. Solicitor General, arguing several cases before the Supreme Court, and established himself as a prominent member of the Federalist Society, the nation’s most influential conservative legal-interest group. But Estrada never made it to the bench. The same qualities that had earned him a nomination—his youth, political leanings, and minority background—perversely worked against him: Fearing that Estrada would sit atop a list of possible Supreme Court picks once he became a judge, Senate Democrats waged a harsh two-year campaign against him. In 2003, Estrada removed himself from consideration and returned to private law practice. When Democrats united against Estrada, they accused him of being a “stealth nominee” because, having never been a judge, he had a scant written record of opinion. His opponents demanded that the Bush administration provide the Judiciary Committee with memos Estrada had penned while working for the Solicitor General, and, when the administration refused—an action backed up by a bipartisan group of former Solicitors General, who said it would constitute a breach of legal confidentiality—the Democrats said Estrada and his backers were refusing to give evidence of the nominee’s ideology. Finally, when the GOP tried to bring Estrada’s nomination to the floor for a vote, they were stymied by an historic Democratic filibuster—the first-ever to defeat a court of appeals nominee. Republican House Majority Leader Tom Delay of Texas called the Democrats’ procedural behavior a “political hate crime.” But Democrats breathed a sigh of relief, knowing that Estrada was no longer on the fast-track to the Supreme Court. Goodwin Liu is, in many ways, Estrada’s liberal foil. He clerked for Supreme Court Justice Ruth Bader Ginsburg and has served as the chair of the board of directors of the American Constitution Society, the nation’s foremost liberal legal interest group. Currently, he is an associate dean of the Boalt Hall School of Law at the University of California at Berkeley. He publicly opposed the Supreme Court nominations of John Roberts and Samuel Alito, even testifying against Alito during his confirmation hearings, and he has staked out decidedly liberal positions on abortion rights, gay marriage, affirmative action, and other hot-button issues. Whether Liu’s nomination makes it to the Senate floor will depend in part on how hard Obama is willing to go to bat for him. But, even then, Liu could be headed for a dead end. In what would be a raw display of political hypocrisy by Republicans, he could face the same filibuster the GOP decried when it was used on Miguel Estrada. Like Estrada, Liu could soon be another failed judicial nominee. 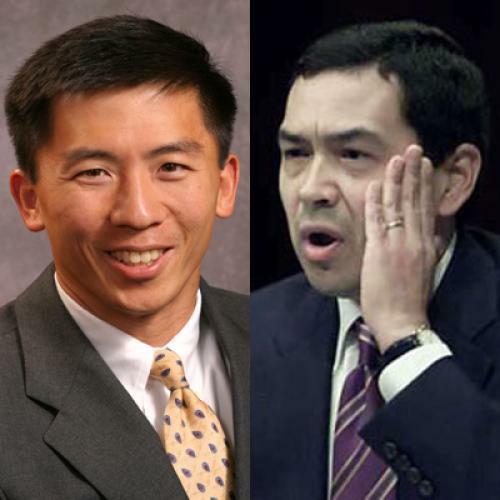 A failure to confirm both Estrada and Liu, two nominees with watertight academic and legal credentials, would signal that placing young, qualified nominees with clear political and legal predilections on the federal appeals courts is virtually impossible. Thanks to the ratcheting up of the judicial wars in the Senate, new legal talent could continue to go to waste, as up-and-comers refuse to participate in the contentious confirmation process. Or, knowing that they must remain as uncontroversial as possible in their early careers, they may keep tight-lipped about important issues, writing or saying little of legal import. This would mark a serious setback for the quality and influence of the judiciary. Mark Greenbaum is a writer and attorney in Washington, DC.